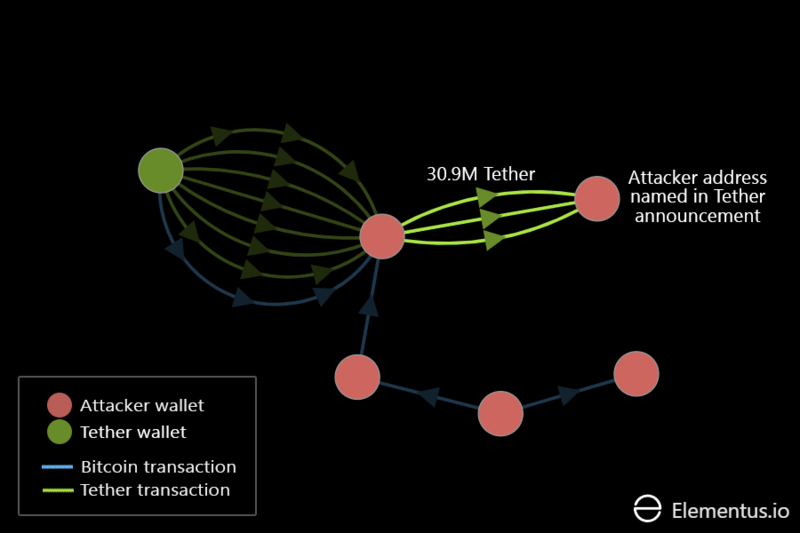 While reading up on the recent $31M Tether hack, we stumbled upon an excellent example of chain analysis posted by Reddit user SpeedflyChris. 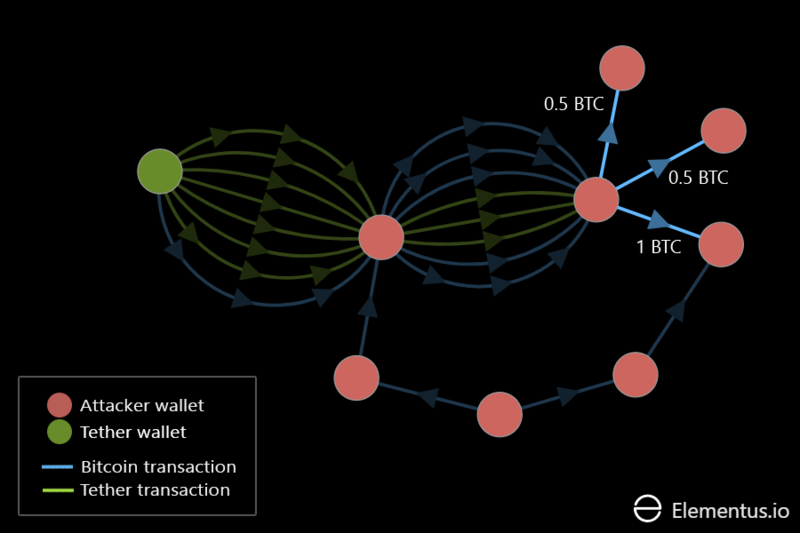 a history of crypto-money laundering via the now-defunct BTC-e exchange. The analysis is well explained and meticulously documented. 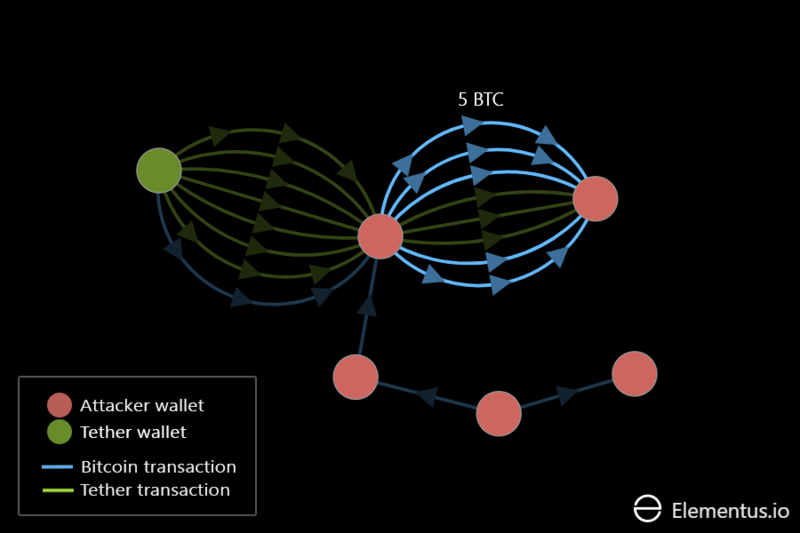 However, written narratives of blockchain transactions don't make for easy reading. So, we've supplemented SpeedflyChris's commentary with a series of graphics visualizing the transactions. All blue text below has been reproduced from Reddit. Italics are for comments we've added for clarification. Look familiar? 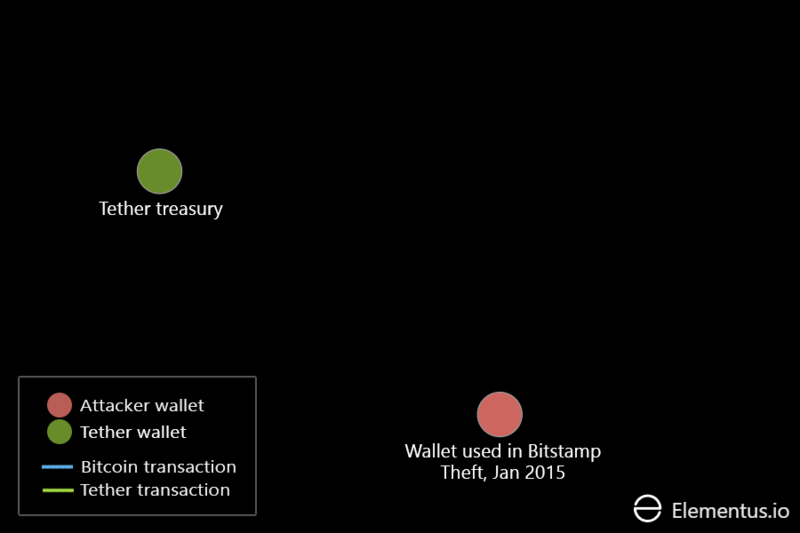 Go to the last page, that was the wallet used to steal 19000BTC from Bitstamp back in January 2015 (and which was still receiving coins from Bitstamp as recently as September, well done guys). I'm not quite sure why they would make a deposit like this to it hours before - perhaps to test that everything is working? 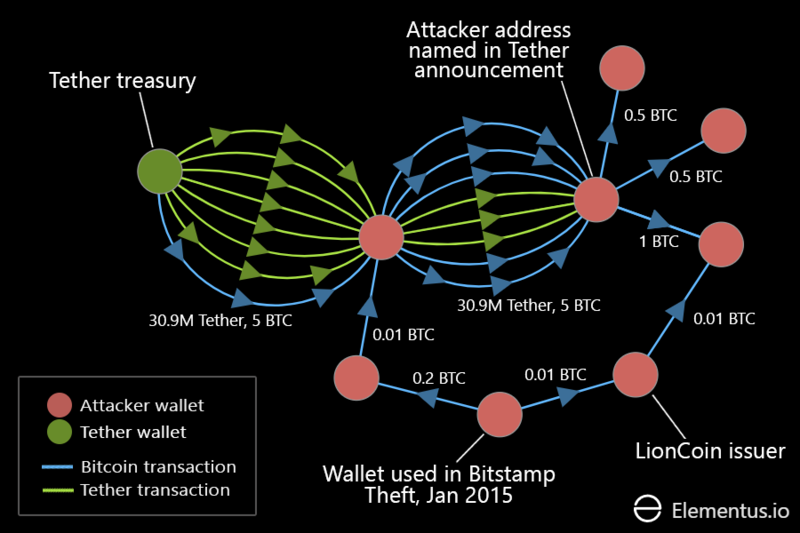 Looks like the attacker wanted to make sure this address had enough bitcoin to pay transaction fees, which would be needed to move the Tether it was about to receive. Then at 11:10 they transfer another 7.9 million tethers. 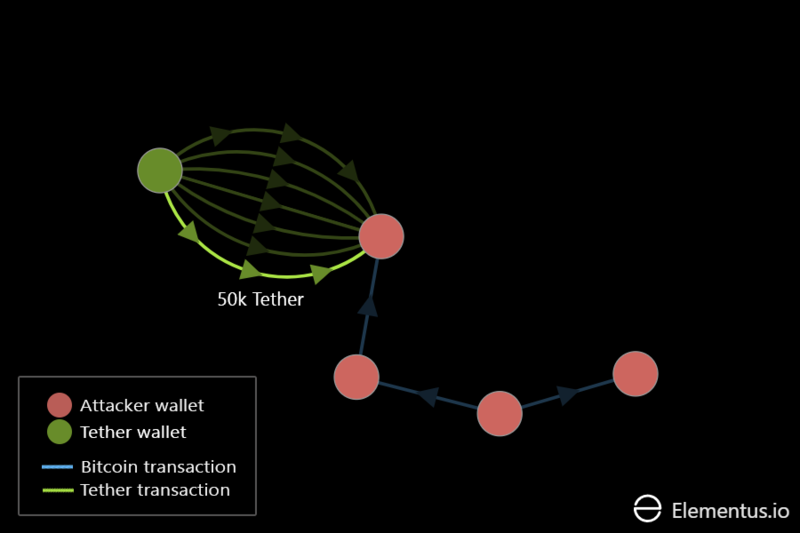 A further 50,000 tethers are transferred over at 11:54. These tethers are then transferred over to the address in the Tether announcement as their relevant blocks are confirmed. 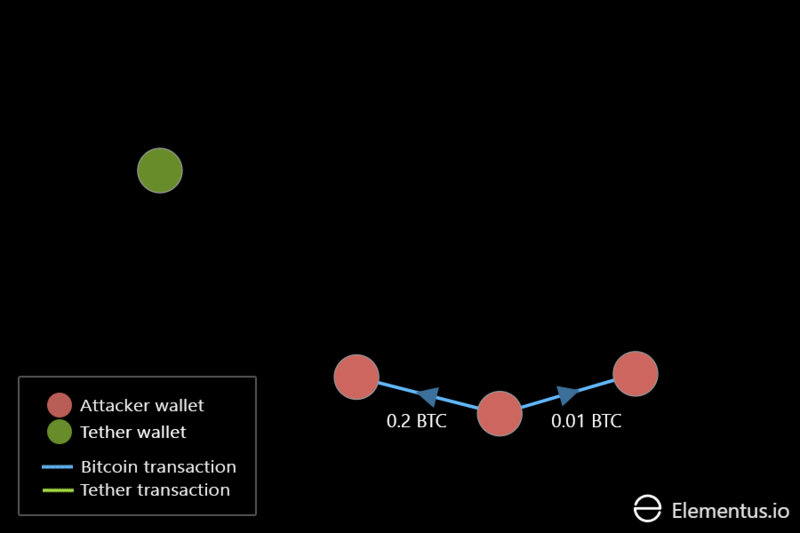 Blockchains are not designed to be read by humans. Enter Elementus. 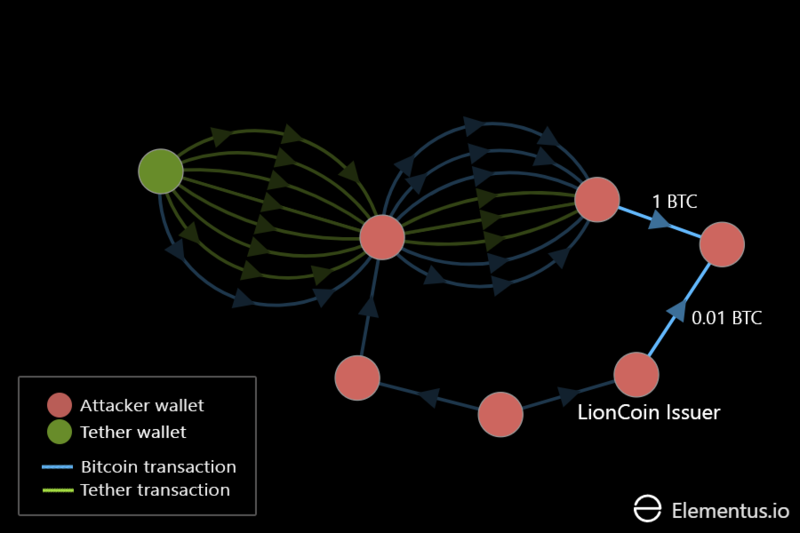 Our technology surfaces actionable insights directly from the blockchain, identifying security vulnerabilities, exposing bad actors, and providing market intelligence for smarter digital investments.